Something terribly wrong happened here. This wasn't supposed to happen so soon after the brilliant resurgence of talent that surfaced on the last few releases. But, alas, for whatever reason, these things do happen. To the listener's ears, it seems that this release was when the physical and mental state of Elton truly was affecting the material. What is more upsetting is that his other disaster, Victim of Love, at least could be partially forgivable since none of the tracks were penned by Elton. Here, however, all songs are written by Elton and Bernie. For whatever reason, the "classic" lineup was now defunct. Gone (again) are Dee and Nigel, along with producer Chris Thomas, and Davey is used sparingly. There was again a mass of different musicians used in the collaboration and his great producer, Gus Dudgeon was behind the helm. Although all the above could have something to do with the poor quality, it's probably just a bad piece of work. The style throughout is a more dance oriented mix, with plenty of synthesizers to accompany the rough sound. This only makes matters worse. This Town, Soul Glove, Too Young and Candy By The Pound stand out in this category, but it isn't limited to these. Wrap Her Up the duet with George Michael and the first single, is probably the worst single ever released by Elton. Even the slow ballads Cry To Heaven and Shoot Down the Moon are awful. Perhaps the only saving grace was Nikita which although is nothing special, is at least somewhat a breath of fresh air. This song received more air play (thankfully) than the first single, and did o.k. on the charts. That's about it. One song Act of War, a duet with Millie Jackson was added to the compact disc pressing as a bonus track, and only makes a bad album worse. 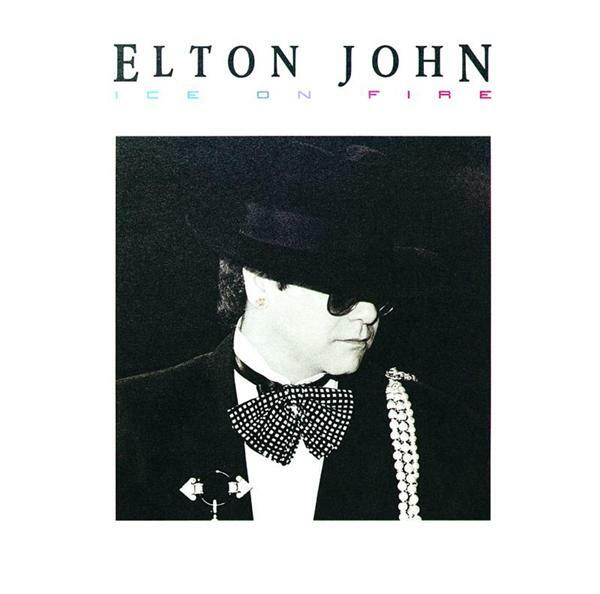 In all fairness, Elton stated several yearls later in a few different interviews that he loves this album. I'm very curious as to why.